A lot of weekends we try hard to take at least one day off to relax and stay away from our phones, email, and computers. It’s not always easy, but I have found that it is one great way to stay sane. I find that when I am refreshed, my work flourishes. On these days I take the relaxed feeling pretty seriously. 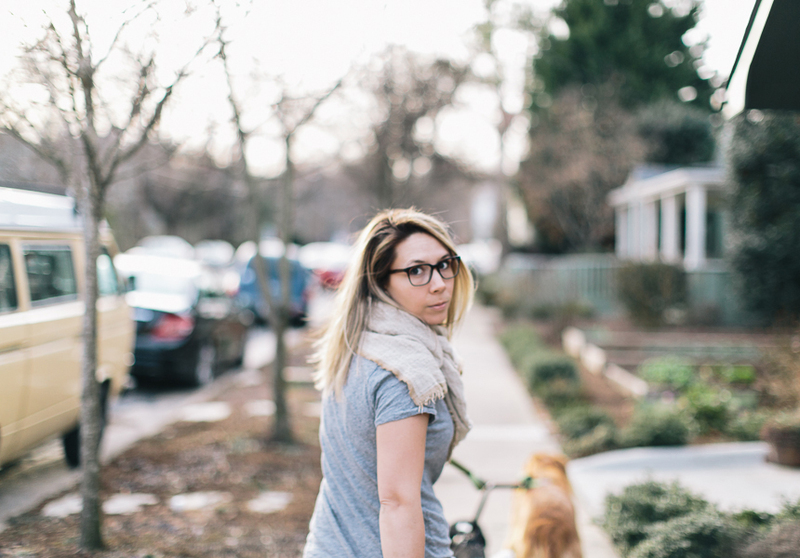 Now that it is Spring we are going on long walks with the dogs and wandering the neighborhoods of Raleigh, looking at all the cute houses and dreaming. It is one of my favorite things. Well this Sunday we took a little walk and I thought I would share my recent go to weekend wear. I have become a pretty big fan lately of the harem and jogger pants. These pants were a steal from TJ Maxx last Summer (here is a similar style), but I more or less live in them on the weekends. They even look really great with the right heel. 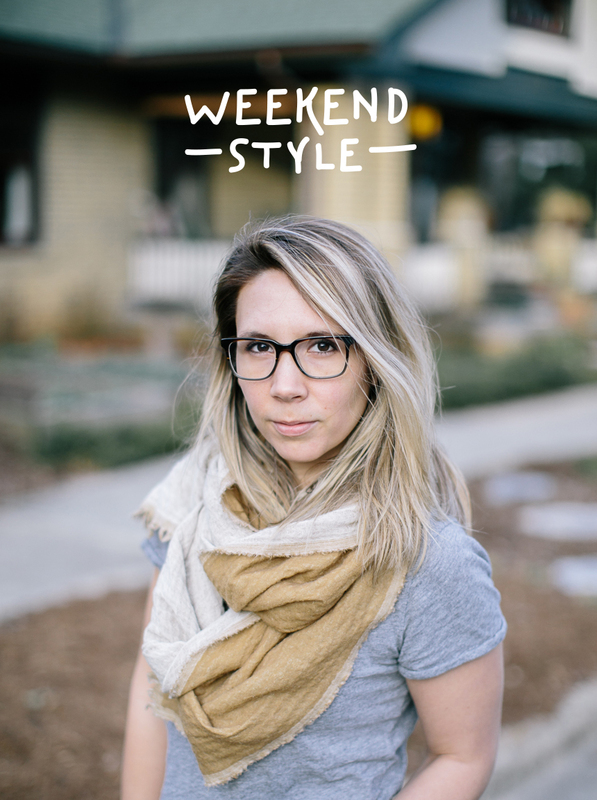 For the weekends though I lean towards pairing them with a basic v-neck, a favorite scarf, and a good pair of street shoes or sandals. Also, since it is the weekend it is a good time to give my eyes a little rest. 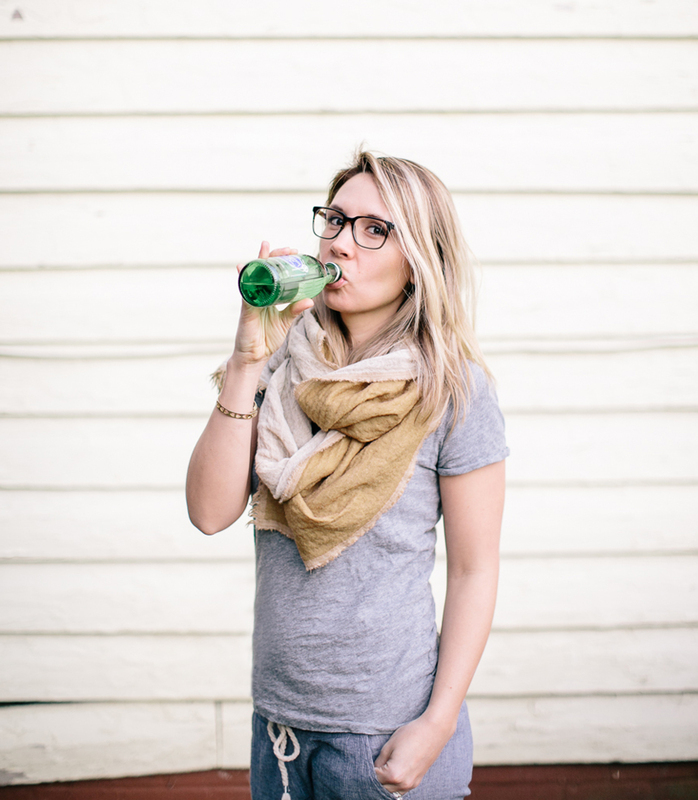 At some point I usually slip on my Warby Parker glasses. (Remember our post?) There is nothing like a little relaxed outfit for the weekend. I never feel that comfort should ever have to sacrifice style, and so your weekend wear shouldn’t either. I have plenty of weekend style that simply feels like I am getting away with wearing my pajamas in public but truly I am still keeping it classy. How about you? Is there specific types of clothes you love to wear on the weekends? What are you excited most to wear on the weekends on neighborhood walks, stops at the farmer’s market, trips to the flea market, or to your friend’s barbecue on Sunday afternoon? 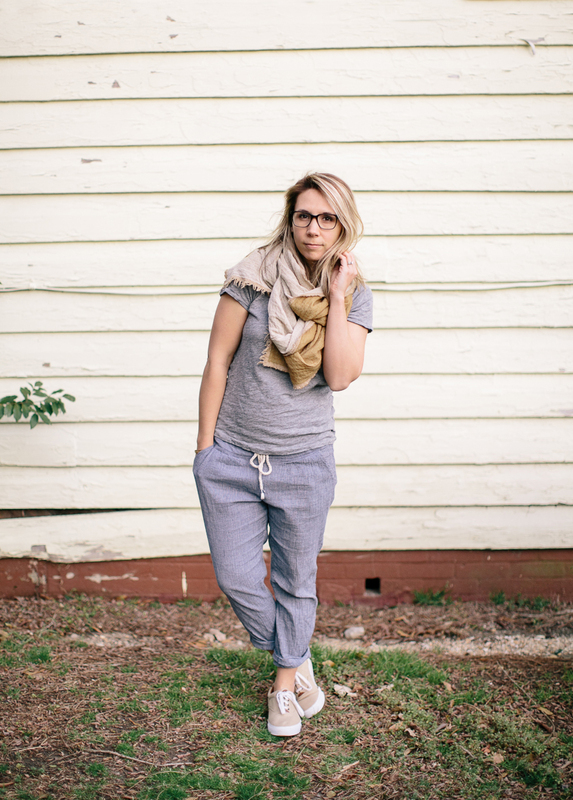 comfy clothes that still look stylish are the best clothes. my weekend style is startling similar but, i sometimes i switch out the harem pants for overalls! I’ve also been really interested in comfort lately, and I think so has the fashion world: Harem pants, sneakers, Birkenstocks, etc. I’m loving it. My next shoe purchase I want to be an off-white converse to wear with jeans. I love the texture of that scarf. megan! you’re right in front of our house! stop by and visit next time! we’re at 517…. Comfort + style = amazing. If it isn’t comfortable it stays in the closet, so naturally this outfit is amazing. I think that would be a great post to do 🙂 I have a way I wear all my scarves that I learned only because of traveling so I think it would helpful.